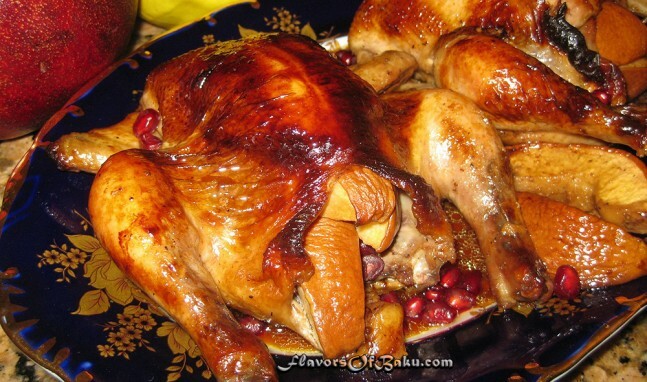 Roasted Cornish Hens, marinated in a pomegranate juice, and stuffed with a quince. Rinse and pat the hens dry with paper towels, and sprinkle the outside and inside of them with salt and pepper. Place the hens into some container or plastic bag. 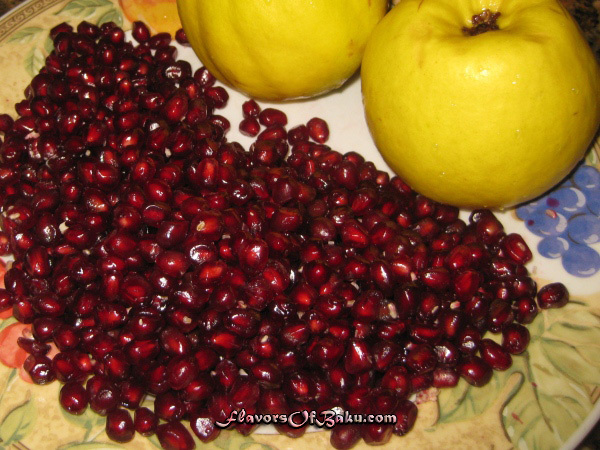 Pour pomegranate juice all over the hens, and marinade in the refrigerator overnight or at least one hour, breast side down. Wash and cut into quarters the quince, don’t peel them. Remove the core with the seeds and all hard area around the core, and then thinly slice each quarter. 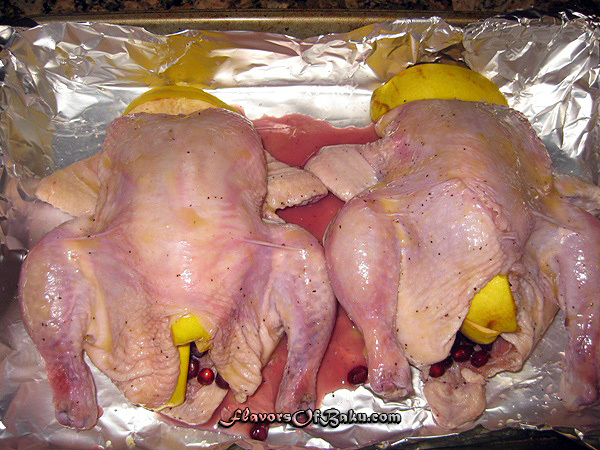 Preheat the oven to 400°F (200°C), and place the hens in the oven. 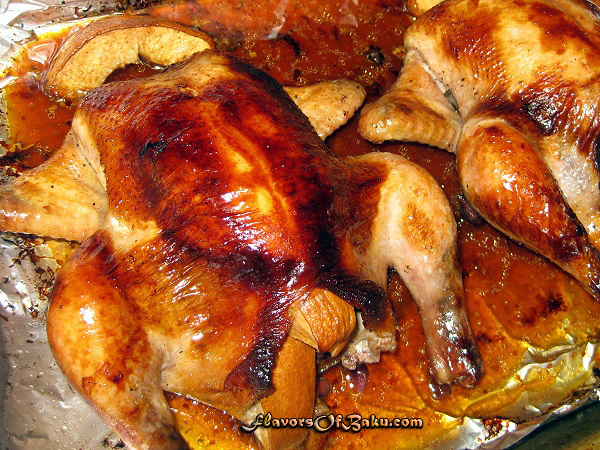 Roast them until they are cooked and golden brown, basting every 20 minutes with the pans juices. To see if the hens are cooked, pierce the inner thigh with a skewer or fine knife. If the juices run clear, they are ready. If your hens are golden brown, but not cooked yet, just loosely cover them with the foil. 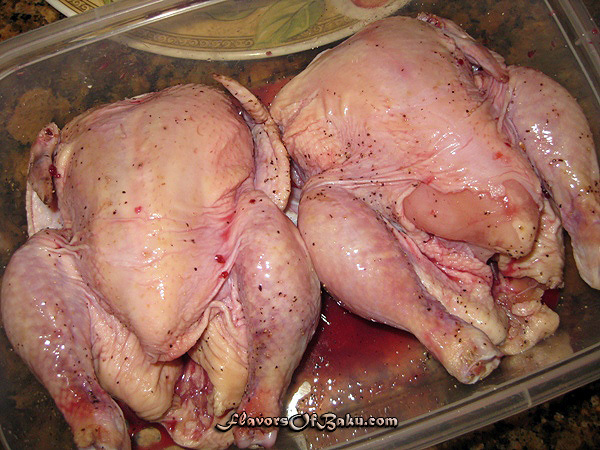 Remove the hens from the oven and leave to rest for 5-10 minutes before serving. 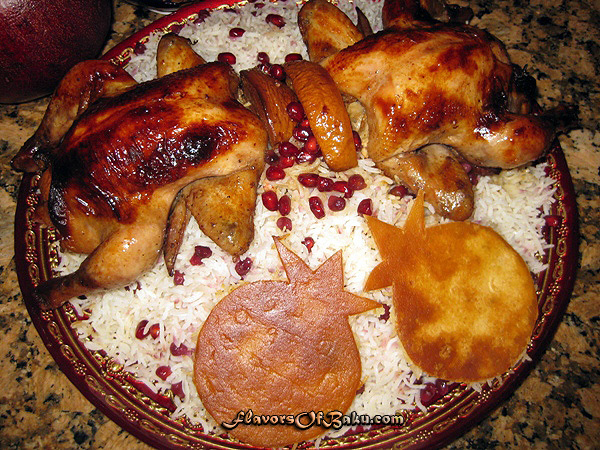 Serve hens with Pomegranate pilaf. Collect a very tasty sauce from the roasting pan, and generously pour it over the hens.